Anne Cabrinha first became interested in acupuncture when acupuncture ended up healing one of her health problems in college. The doctors could not find a diagnosis that worked for her, but when she visited an acupuncturist in LA’s Koreatown, after just one treatment her symptoms had all but disappeared. Ever since then, she has been a firm believer in the healing power of acupuncture: “Acupuncture encourages the body to heal itself, to get..back down to the basics. 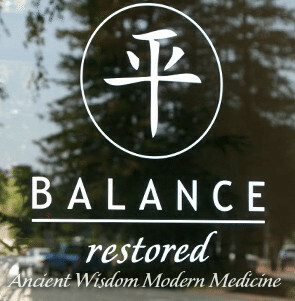 It’s not just the acupuncture, it’s setting aside time for relaxation and thinking about the body.” This organic approach to healing is Anne’s trademark. And for Anne, it is the overall experience that makes the Center’s work so effective. “We have heat lamps, lights, pads.” Just one hour of refocusing the attention on the body has profound healing power. Likewise, Susan Fox had a personal healing experience with acupuncture in her early 20’s and has been involved ever since. She believes that the community of healers at the Center brings a diversity of perspectives to the table, a diversity that makes finding a healing plan that works for each individual client that much easier. “A patient is best cared for when multiple practitioners help because each practitioner has their own style,” she explains. Susan finds the professional relationships she has made at the Center tremendously helpful in giving her work new life and vitality. Constant exposure to many different healing approaches makes her develop as a healer and as a person every day. Both Anne and Susan are natural healers whose work goes above and beyond acupuncture. They provide listening ears, a safe space for open communication, and a wide range of medical expertise. And in their work at the Balance Restored Center, Anne and Susan offer a space for each expert to give their own healing touch.